← The utility company of the future is mobile – today. 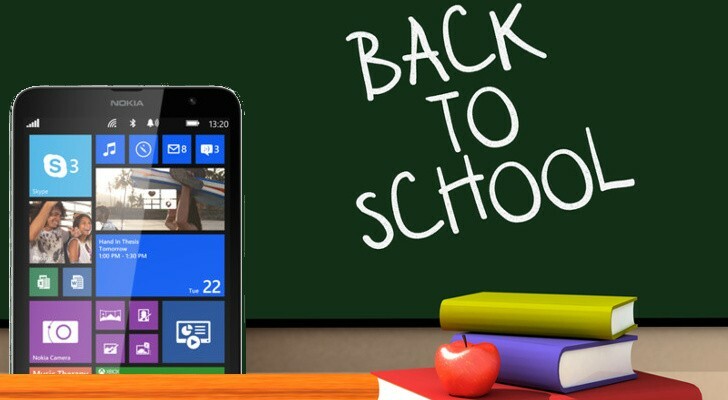 Back to School – the digital version. Another top five list. Back to school can be a daunting time for busy parents trying to eke out those last days of summer. What can be especially trying is the planning and shopping for back to school items. What to get, where to get them, and at what price are issues that cause many a sleepless night. It’s no wonder that retailers start advertising early in an effort to drive traffic towards their physical and digital stores. But as shoppers become more discerning about products and price conscious, retailer have to do more to appeal to shoppers. So here are my top five tips for winning over your online shopper. 1. Make it mobile. I say this so much, I sound like a broken record – or Max Headroom. But I’ll say it again. Make it mobile. There is nothing more frustrating that trying to navigate a full desktop site from a mobile device. Sure, I can pinch and squeeze, but why do I have to? There are plenty of other sites out there that are catering to the mobile shopper. And if you’re trying to win dollars from other retailers, do yourself a favor and make your user’s shopping experience as simple as possible. And it starts with making your site mobile. 2. Offer mobile only promotions. Everybody likes a bargain. More importantly, folks, especially moms, don’t want to feel like they’ve missed an opportunity. When you have a mobile only promotion. That is either offered only if a user sees it when they’re browsing your site from their mobile device, or which can only be redeemed while shopping on your mobile site, you’re giving shoppers a reason to take advantage of that offer – because they don’t want to miss it. Mobile only promotions is a great way to drive traffic to your mobile site and increase mobile conversions. 3. Apps. Apps. Apps. Dialing up a mobile app on your device is far easier than trying to access a mobile site from your browser. And although it may not seem like much, for a busy back-to-school shopper, time is often of the essence. Making sure that you’ve got a mobile app that shoppers can easily access from their mobile phones or tablets, means that they don’t have to worry about accessing the internet or being on a strong wifi signal to browse and shop. The mobile app is also great for sending push notifications alerting your users about new offers and promotions. 4. Wish lists are a must. As kids get older, shopping with parents just isn’t…how do I say this delicately…cool. After a certain age, your kids would much rather hang out in the mall with their friends, then be seen in public with you. Life’s cruel like that. They don’t want you picking things out for them (your tastes as so blase). And they certainly don’t want to try things on with you lurking outside of the dressing room like Quasimodo. But when it comes to back to school shopping, that can be a good thing. Especially if the stores you patronize offer wish lists. With a wish list, your petulant teen (or pre-teen) can go online, find the things that they like, and shoot you a link to that wish list for you to purchase from the convenience of your computer or mobile device. No muss. No fuss. 5. Shop with your phone. If you just enjoy the act of shopping and would much rather see, feel and touch items before you buy them, then shopping with your mobile device as your companion. Retailers have come to expect that shopper will be comparison shopping, looking up product details and reviews, taking pictures and generally vetting them with mobile phones on the ready. In fact, many retailers are using beacons to identify which shoppers are really paying attention to their phones and using this as an opportunity to communicate special offers, savings or promotions while the shopper is on or near the store. So make sure that you’ve got a full charge before you head out, you could be in for extra savings. 6. Coupons! I know I said this was a “Top 5 List” but I realized that there was one more tip for busy shoppers. There is a whole industry around helping shoppers ‘clip’ digital coupons that can be used either online or at checkout in-store. RetailMeNot, for example allows you to search for a retailer and offers up a results page replete with coupons that could potentially save you dough when you’re shopping. So if you follow Tip No. 5 and have your phone on you when you shop (at home or in store), mobile (and online) coupons could really impact your bottom line. If you want to send your kids back to school with the right stuff, just print out these convenient shopping lists or order it all online. Either way, everything here is broken down by grade for quick reference. Just remember to check with teachers and the school for any special requests or restrictions.